Justin Courtney Pierre will release his new solo album, In The Drink, on October 12th. Today he’s released a video for the title track and pre-orders are now up. Anakin have released their new song “Spaced-Out” featuring Justin Pierre of Motion City Soundtrack. There are certain albums that represent milestones in people’s musical development. Ones that trigger a rush of nostalgia more powerful than just the simple recollection of a memory. There are a couple that I can think of off the top of my head that bring me back to a time and a place, but none more powerfully than Motion City Soundtrack’s 2007 LP, Even if it Kills Me. In the interest of full disclosure, I’ll admit, I wasn’t a fan of the band before this. I was just starting to develop my own taste in music. I wasn’t quite over my Metallica phase and not quite ready to throw myself headfirst into any of the scenes I eventually would in High School. I was in sixth grade, I had yet to get my first guitar, and the two bands dominating my SanDisk MP3 player were Green Day and Fall Out Boy. Based on those two bands alone, you can assume that my music listening was still largely radio-based. It was before my friends and I would regularly swap CD’s and the idea of being able to share playlists with each other over the internet was too far in the future to even be a thought. It really was a surprise to stumble upon a band I had never heard about, making music I fell head-over-heels for. Motion City Soundtrack will be re-releasing Even if it Kills Me for its 10-year anniversary. The album, featuring new art and bonus tracks, is up for pre-order. I just got word that Motion City Soundtrack’s “Everything Is Alright” has officially gone gold. A huge congratulations to the band is in order. Justin Pierre of Motion City Soundtrack has announced on his website that he’s working on a new solo album and that he’s started a new music project called Rapture Twins with Andrew Reiner. Real Friends’ Dan Lambton has covered Motion City Soundtrack’s “Together We’ll Ring in the New Year.” You can stream his rendition below. Sorority Noise have released a cover of “Everything is Alright” by Motion City Soundtrack. I was lucky enough to attend and photograph the second New York City date of Motion City Soundtrack’s farewell tour at Gramercy Theater. You can find the full-gallery, along with some brief thoughts, below. Last week I brought you the first installment in the “Ultimate Setlist” playlist. This week, I’m doing it again. This time it’s for one of my all-time favorite acts, Motion City Soundtrack. I’m not ready to pour one out, but the band recently embarked on their farewell tour, and I figured now would be as good a time as any to try and curate a career-spanning setlist. No pressure, right? Same rules as last time: 22 songs including a two song encore. The full track listing is below and you can find the playlists on Apple Music and Spotify. 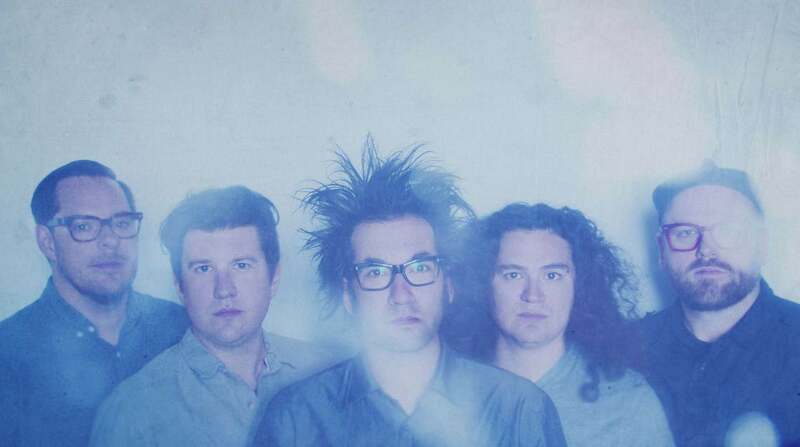 Other than two or three more US dates, and a international dates, Motion City Soundtrack have announced all the dates for their farewell tour. One of my favorite things about the forums is watching talented and motivated people come together to make awesome things. Today I’m excited to feature the latest in the “member compilation” series that has been taking shape in our music forum — a tribute to Motion City Soundtrack. Below you’ll find a stream of the 17-track cover album all dedicated to the awesomeness that is, that was (insert sad face), Motion City Soundtrack. Frontman Justin Pierre discusses Motion City Soundtrack’s latest album Panic Stations, writing from a more instinctual place, how his relationship with music has changed over the years, struggling with writer’s block, and not planning the future too far in advance. Frontman Justin Pierre discusses the different ideas Motion City Soundtrack pursued when writing Go, being obsessed with mortality, and how his dark past continues to play a role in his lyrics. Aj LaGambina reflects on Motion City Soundtrack's poppy, and polarizing, album ten years later.